What if you could not buy food? This is a translation of a blog post origninally published by Save the Children Spain. Click here to read the original post. Imagine you could not buy food. Although there is food stacked and placed on the shelves of stores, you simply cannot afford to buy it. Prices have risen so high that the food is unattainable. This is exactly what is happening in parts of Niger, a country where millions of people—especially children–are at risk of malnutrition. Here, a combination of high food prices (linked to speculation on international markets) and insecurity in neighboring countries means that families can no longer afford to buy what they need. The prices of some goods have reached exorbitant levels, and the majority of parents have seen their incomes plummet. 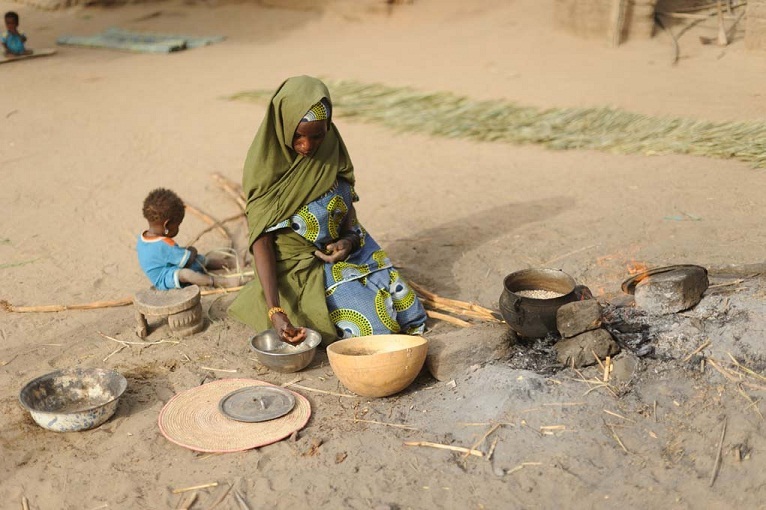 Many Nigerien families grow food, especially staples such as millet or sorghum, which they ground and mix with water or milk to make mashed grains. One might think this would solve the inflation problem and reduce reliance on markets; however, last year, a combination of poor rains and crop shortages made families more dependent on buying food when prices were peaking. Parents in Niger do everything they can to keep their children alive; many limit themselves to just one meal a day so children get the most food available. Some take their children out of school to help make money and even turn to using animal feed as an additional source of food. But then, how can we help? While we're on the ground supporting the emergency, the level of aid is not enough to handle the broad scope of crisis hitting the country. Today, one million children are still at extreme risk of malnutrition across the Sahel where, as in Niger, countries like Mali, Burkina Faso and Mauritania, are facing an imminent food crisis. We know that we can do more; Save the Children can help save the lives of more children before it's too late. We also know that there is no way to do so without your help. Interested in joining our community of sponsors? Click here to find out more. Great post. I really enjoyed while reading it. Great post. I’ve been looking for info on this for a while now so I wanna thank you for writting this. Keep up the good work. hi. Sick of plain photos and low quality videos? This is exactly what is happening in parts of Niger, a country where millions of people. You must have a lot of pride in writing quality content. I’m impressed with the amount of solid information you have written in your article. I hope to read more.